After gaining a considerable international reputation as a lyric tenor, which took him to many of the world's most important theatres, collaborating with many of the most prestigious conductors and stage directors, with the new century, Laurence Dale decided to turn his attention to his ambition of directing operas. Having created the rôle of Don José in Peter Brook's famous La Tragédie de Carmen in 1981 at the Bouffes du Nord, Paris, and played the rôle through three seasons, including New York, that Peter Brook turned to him to re-direct the production for the Opera de Bordeaux and further performances on tour. Immediately afterwards he directed Lehar's Der Zarewitsch for the Operette Festival, Bad Ischl and literally the next day, Haydn's L'Incontro Improvviso for the Haydn Festival Eisenstadt and EXPO 2000, Hannover. These productions received unanimous praise from the Viennese press, which led to Laurence Dale being re-invited at Bad Ischl, in coproduction with Salzburg to mount Lehar's Das Land des Lächelns (designed by Hartmut Schörghofer). In 2001, he conceived and prepared the New York Off Broadway Salsa musical ¡MUSICA!, which alas, following the disaster of 11th September had to be abandoned. In 2002, he mounted two operas for New York's Gotham Chamber Opera, Les Malheurs d'Orphée by Milhaud and Purcell's Dido and Aeneas (designed by Dipu Gupta and Fabio Toblini and conducted by Neal Goren) which played to sold out houses, as did Land of Smiles in Salzburg for 34 performances! In 2003 a third Lehar operetta was presented in Bad Ischl, The Count of Luxemburg, having originally opened in Innsbruck. His work of re-conceiving the 1769 farcical opera L'Opera Seria (Gassmann) with the Dutch Reisopera was a huge success, as was Les Contes d'Hoffmann, for which he made his own performing edition. Both were designed by Yannis Thavoris (sets) and Fabio Toblini (costumes), lit by Dominique Borrini et Declan Randall. Opera Seria is to be revived in October 2012. Meanwhile he mounted the double bill Poulenc's La Voix Humaine and Ravel's l'Heure Espagnole in January 2011 with Gary McCann designing sets and Fabio Toblini costumes. Poulenc's Elle was sung by Maria Ewing, making her comeback to the stage while Marie-Ange Todorovich led the wonderful cast of the Ravel which included baritone Craig Verm as Ramiro and Erik Slik as Gonzalve. In 2011 he made a performing edition of, and directed Rossini's La Pietra del Paragone for Opera Trionfo designed by Gary McCann, who also collaborated with him for FLAGGERMUSEN (Die Fledermaus) at the Oslo Norwegian National Opera, conducted by Alexander Joel in 2012. Other recent projects have included a new production of the double bill Venus & Adonis, Blow and Purcell's Dido & Aeneas for the Innsbruck Altemusikfestspiele 2013, designed by Gabriella Ingram, and a new production of Rossini's Il Barbiere di Siviglia for the Nationale Reisopera, designed by Gary McCann and conducted by Maestro Antonino Fogliani. 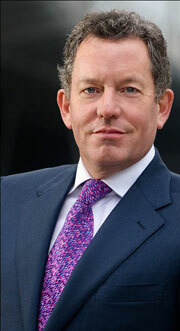 As the Artistic Director of l'Opéra Théâtre de Metz he staged Britten's Turn of the Screw, Thomas Adès' Powder Her Face and Lehar's Land of Smiles. For the opening of the season Les Jeux de Pouvoir, he mounted the twin productions of Auber's Gustave III (the modern stage premiere) and Verdi's Gustavo III (the French premiere of the original version of Un Ballo in Maschera), this thought-provoking project attracted praise from national as well as international commentators. He completed this unique season with Meyerbeer's Les Huguenots (starring Rockwell Blake as Raoul) for which the last performance was accorded a standing ovation of at least 30 minutes! For two and a half years Laurence Dale committed himself to raising the visibility and appreciation of opera in South Africa as Artistic consultant to Opera Africa in Gauteng. His contribution transformed the fortunes of that company with a production of Bellini's I Capuleti et i Montecchi which was named the cultural event of 2006 and the most significant production in the South Africa in the last ten years. Dale then created Opera Extravaganza expressly to showcase new SA singers whom he formed, trained and coached. 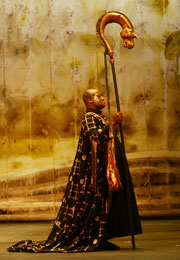 The show played to full houses with standing ovations from a cross-section audience … a historic first in Gauteng for opera … The same phenomen occurred with his next production, that of Aida in 2008 (designed by Dipu Gupta, sets, and renowned South Africa painter Andrew Verster for costumes. It was lit by award winning designer Declan Randall). Laurence Dale later conducted the Johannesburg Philharmonic in Aida in that series of performances. He recently redirected his 2006 Opéra de Monte Carlo production of Ariadne auf Naxos (costumes and sets by Bruno Schwengl) for l'Opéra Royal de Wallonie, Liège with a completely new cast including Monique McDonald, Janez Lotric and Daniela Fally. He returned to the Tirolerlanderstheater Innsbruck at the invitation of Kammersängerin Brigitte Fassbaender where he conceived and directed a new production of Lortzing's Zar und Zimmermann designed by Hartmut Schörghofer and Fabio Toblini.